I've been giving most of the Sixteen92 Summer 2016 release a test-run, and I believe I've tried all of them with the exception of "Rid of Me". The collection is mostly inspired by the 90s Riot Grrrl movement and 90s rock chicks, and are named after specific songs. 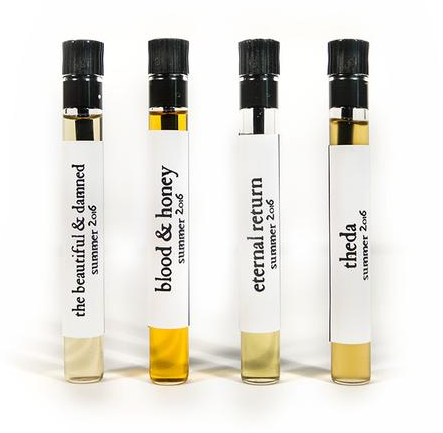 The scents however, are decidedly modern and quite quirky, which is kinda what I expect of indie perfumery lines like these. I spoke about scents from the Sixteen92 general catalogue in a previous post, as well as general information on pricing, shipping etc, so if you want to take a look at that, hop over to this page. I'll focus this post on the Summer 2016 collection, which like all seasonal collections is available for a limited period while stocks last. There are about 10 scents in total - 9 of which I've tried so far. This was a surprise hit for me. I had wanted a fresh scent that wouldn't be sweet or fruity, and this one is a gorgeous green-floral. 70% green, 30% delicate jasmine. The hint of mandarin and ozone almost creates a fig-like note. Aromatic without being sugary. This is one I will stock up on since I don't know when it will go away for good. It wouldn't be out of place on a Jo Malone or Diptyque counter. The inside of a makeup bag that holds high-end lipsticks and powders, all scented with powdery iris, violet and rose. If you muted the powder slightly and amped the gorgeous florals, you would get Bruise Violet. There is even a slightly waxy undertone that REALLY smells (pleasantly) like a tube of lipstick. Pretty amazing, and for a makeup lover like me, utterly fun. You get a soft burst of fruity peach and cassis at first, but it dies down and the sweet vanilla cake accord comes out. Not a heavy buttery pound cake but the softer fluffier type. I'm not a huge fan of peach in fragrances usually because it has a tendency to blend with and make other notes smell a bit candy-like and artificial so I was happy that this doesn't happen with Doll Parts. After dry-down you get a rather light vanilla cake and sweet rhubarb jam. Nice and pretty, and far less cloying than you might imagine. This is one for the gourmand lovers. This is creamy-smooth vanilla ice cream on a sweet vanilla waffle cone, then the green vegetal grass clippings come in to balance out the sweetness. This is the thing that makes the scent unique and not just another heavy bakery dessert scent. The overall effect is standing on grass, eating vanilla ice cream with a hint of fruitiness around the edges. The pink lemonade never comes out for me; it's far far away in the background adding a tiny bit of freshness and keeping the vanilla milkshake accord from being flat and cloying. Oddly enough the waffle cone leaves, then returns, then leaves, then returns. Another favorite of mine. A dirty floral. Don't think the praline makes this a gourmand scent. It's not really a foody fragrance at all. The jasmine and sandalwood dominate for me. Oddly enough the may rose is a bit-player in this. The "dirtiness" comes in part from the natural pungent, animalic undertone some jasmines have, but it's also created by the clash of bright delicate florals with creamy nutty praline and a deep almost acrid sandalwood (which I'm guessing is of the Australian variety, which tends to be a bit more pungent and "rough" smelling than the expensive Indian varieties). This scent needs time to unfold on the skin, as it's not that pleasant at the start when all the notes seem to fight one another. Fizzy, effervescent, carbonated sweet fruity drink. Sugary but with a hint of a bitter edge to make it a bit more interesting. A few minutes in, the florals start to come out and the sugary edge goes away a bit. Now it almost smells like a bathbomb would as it's still melting and fizzing furiously in the tub - a mix of sweetness and strong powderiness. Nice balance of floral and fruity. Fun, girly, great for summer, but not the longest-lasting scent on my skin. I love honey in fragrances, so this was a must-try for me. Unfortunately this was the least immediately-appealing of the Summer scents I sniffed. The blood orange has a very bitter almost-caustic undertone and together with the heavy musky sweetness of the honey, creates a rather odd effect. It reminds me of the sachets of dried orange peel we snack on in Asia which has been cured in powdered salt and sugar until it's intensely salty, sweet and sour at the same time. Blood & Honey reminds me of the sugary salty powder that coats the soft peel. After a few minutes, it relaxes a bit and mellows out to more of a tangy honey scent but never loses that salty tang to me. Another one I enjoyed unexpectedly. Surprisingly pleasant and clean in a dry grass and clean wood manner. There is an almost fruity bright twinge to it, possibly from the tomato leaf and beetroot. And as it dries, an earthy green-ness comes through. Fresh and quite gender-neutral. Cologne-like but not generic. Fades quickly on my skin though. Be prepared to reapply. The name Theda is one I associate with Theda Bara, the original vamp. This scent doesn't quite lean into the dark and dangerous territory. It's heady and sweet, like fruit punch with a touch of alcohol. I don't get a strong alcoholic-beverage feel to it, so don't worry about smelling like you've been drinking. This is sweet and fruity and strong, although if you don't like sugary fruity scents this might be a bit sweet for you. Lasts well on the skin as well. My reviews are all based on the perfume oils, not the alcohol-based sprays. 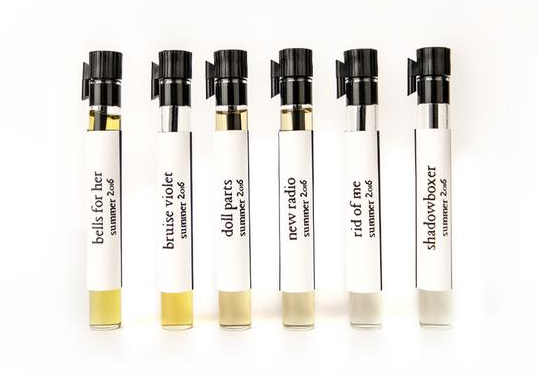 Sixteen92 scents range from about $20-22 for the largest 10ml perfume oil roll-ons, but the Summer collection can be purchased in sample sets for $16 - 24. My favorites are mostly in Part 1 but I do recommend giving Sixteen92 a try if you like interesting creations made with mostly (if not all) natural essences, or are just looking for affordable scents that aren't too common. The scents in general lean between dark and quirky to sweet and girly, with a fair amount in the girly, easy-to-wear category. They are decidedly "modern" in the sense that you will find notes which are more common in modern perfumery, although usage of natural absolutes and essential oils gives them a certain level of complexity compared to typical mass-market scents. I still stick with Black Phoenix Alchemy Lab for resiny, deep, ambery, spicy fragrances containing notes like myrrh, frankincense, labdanum, pepper and saffron. There currently aren't many options like these in the Sixteen92 line-up. 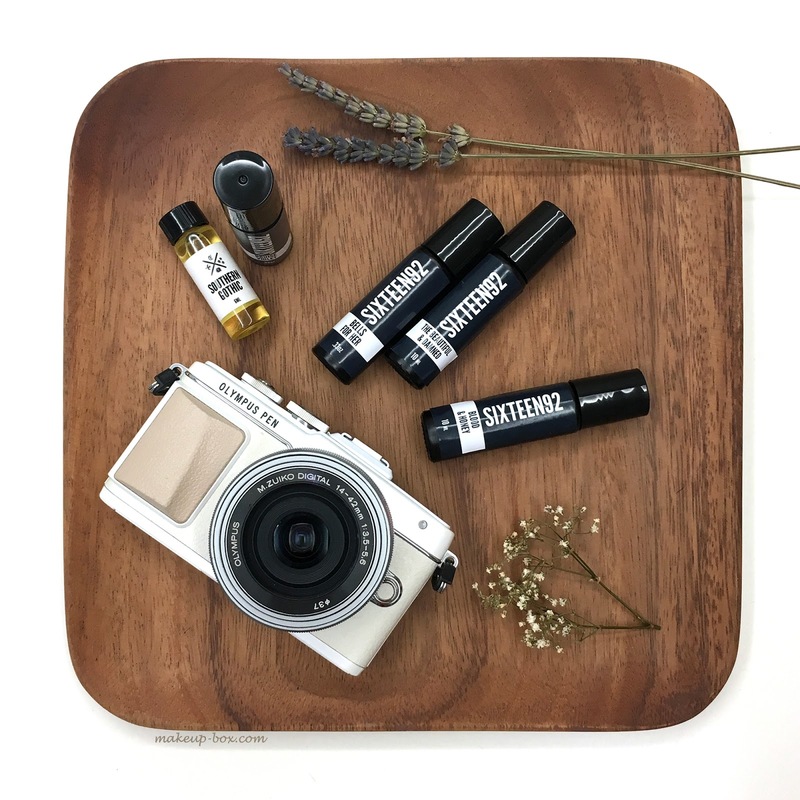 But those who are just stepping into the world of niche natural perfumery might find Sixteen92 a good option which offers both quality and affordability. I preferred to thank you for this post. each part of your website is excellent...must be done with great efforts....good luck for your future posts! !Really helpful. Keep up the good work. I think I have finally found something as good as Smartcustomwriting. Your blog is really interesting to read, I enjoy discovering new make up tips and reading new reviews. You are doing a really good and important job here, thanks a lot! They may see a scent they like on a companion, relative or colleague and ask them what they are wearing,murano collection fragrance remarking on the way that it smells incredible.